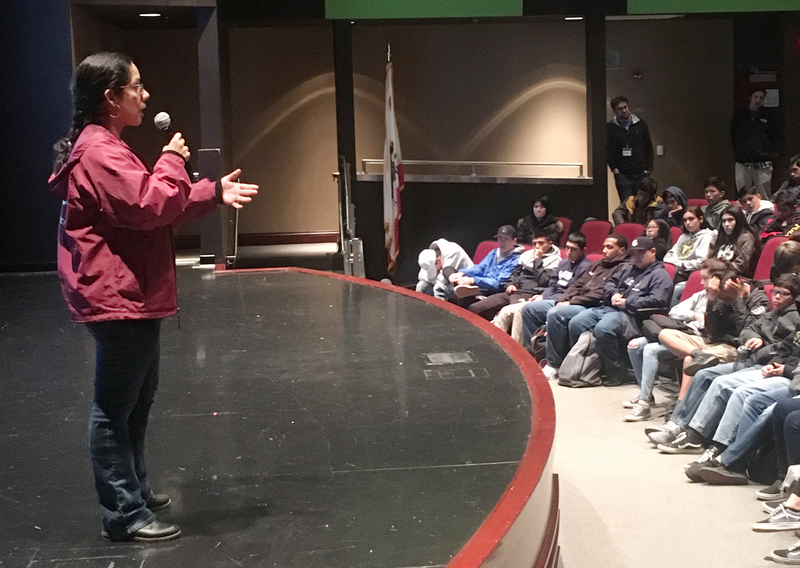 SAN GABRIEL, CA – More than 200 Gabrielino High School students learned ways to combat the challenges of mental health disorders during a talk by a psychiatric social worker as part of the school’s third Mental Health Day of the year. Gabrielino High School held the Mental Health Day on Feb. 13, providing students with information about depression and anxiety, activities that promote mental health awareness and resources available to those in need. Following the presentation, students spent their lunch relaxing with stress-relief coloring activities in the gym. Mental Health Day was organized by Gabrielino’s Wellness Council in partnership with the Associated Student Body and Peer Helping and Health Occupations Students of America (HOSA) clubs. The HOSA club also filmed a short PSA about the difference between depression and sadness and what resources are available at GHS to help students. SANGAB_GHS_WELLNESS1: Marcela Ayala, a psychiatric social worker for the Department of Mental Health, spoke about anxiety and depression symptoms and mental health resources during Gabrielino High School’s third Mental Health Day of the year on Feb. 13. 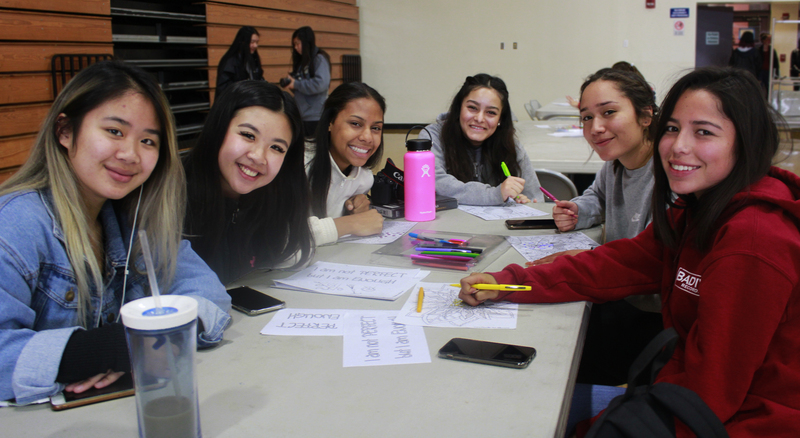 SANGAB_GHS_WELLNESS2: Students spend their lunch relaxing with stress-relief coloring activities in the gym during Gabrielino High School’s third Mental Health Day of the year on Feb. 13.